In Zell am See-Kaprun, it’s winter practically the whole year round. But if your longing for snow is still big in summer, it can be satisfied on the Kitzsteinhorn Glacier. Not only the Kitzsteinhorn, but the whole region offers beautiful spots and unique panoramas for photographers. 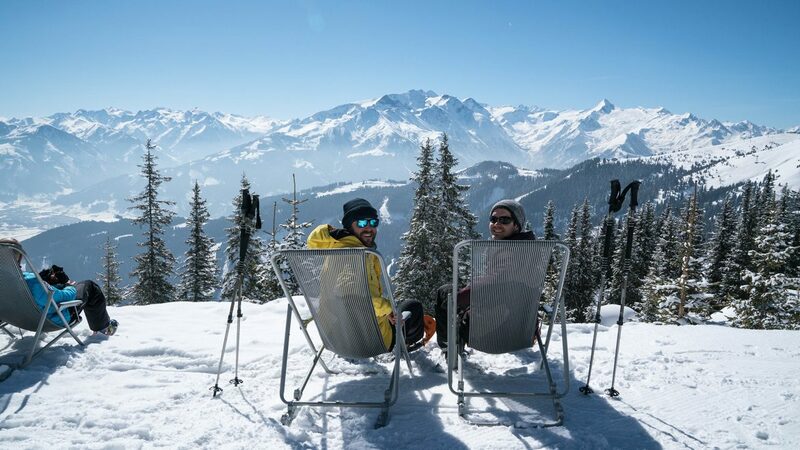 Mike Clegg and Ben Green reveal which photo spots especially impressed them in winter in Zell am See-Kaprun. Lake Klammsee was already a highlight in autumn for the two Englishmen. At that time, they decided to come here again. The water did not lose its turquoise colour in winter, either. Instead of colourful leaves, there were white, snow–covered landscapes and green coniferous trees reflected on the water. And Mike and Ben? They were bewitched by the lake’s aura all over again. At Kaprun Castle, Mike and Ben were not just fascinated by the century old construction, but in particular by the small pond next to it. Here, the fortress is reflected on the water and these two love reflections! They took plenty of time for each photo because they wanted to edit the photos as little as possible and to get the best out of every situation. Of course, a photo of the Kitzsteinhorn in winter should not be missed. On sunny days and from 3,029 metres high, one can see the highest mountains in Austria. 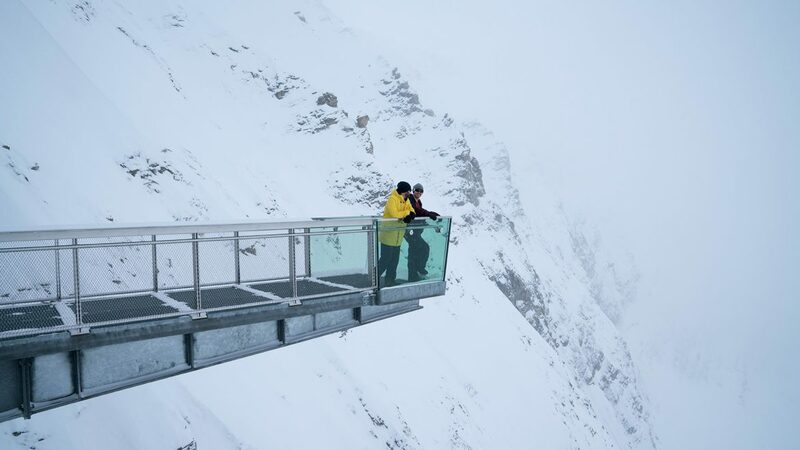 Mike and Ben didn’t have as much luck this time as the weather wasn’t on their side and the view was blocked. But just the feeling itself of standing on the panorama platform “Top of Salzburg”, was something very special. Despite the fog, this made the photos unique. Zell am See-Kaprun lies at the foot of the Kitzsteinhorn in the Hohe Tauern Range – and is thus surrounded by a lot of mountains. This means that there are numerous photo spots available “from above” which are just waiting to be discovered. Mike and Ben were, among other mountains on their journey, on the Maiskogel, the Mitterberg and in the Enzian Hut to capture the breathtaking views. Over the treetops, the feeling of freedom is endless. 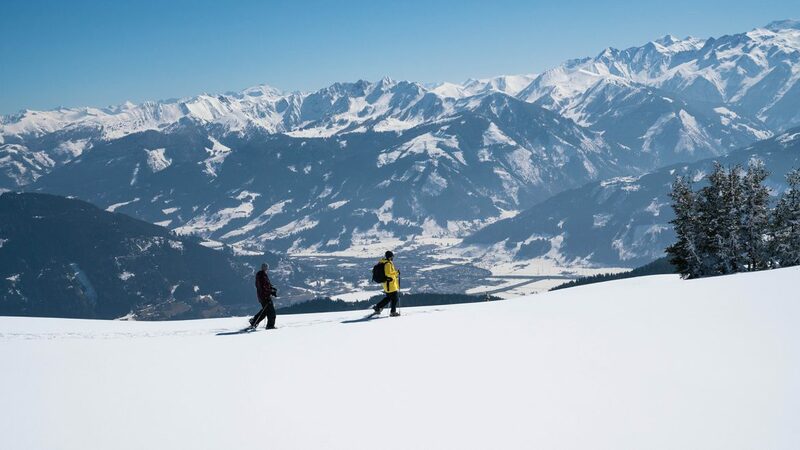 Mike and Ben experienced this as well, when they were on their way through Zell am See-Kaprun with their snow shoes. To be more precise – on the Schmittenhöhe. From there they stood face-to-face with the surrounding mountains. That they had to shoot these with the camera as well, goes without saying.